Construction sites are dangerous in nature, and serious, often fatal accidents can occur. Workers are exposed to a variety of hazards on a daily basis, including heavy machinery, open pits, and falling objects. Pedestrians are also at risk if proper safety precautions are not taken. If you or a loved one have been injured on a construction site in San Diego, CA, attorney Chris Olsen will work hard to hold responsible parties accountable. We will build a strong case with the goal of securing full compensation for your medical expenses, emotional hardship, and lost wages. Contact our construction accident attorney today to discuss your case further. Construction sites are inherently dangerous, with tall scaffolding and heavy machinery. Construction accidents can be caused by electrocution from faulty wiring, a fall from a tall structure, being caught between heavy objects, suffering severe burns from a fire, or slipping on uneven flooring or walkways. You can sustain injuries ranging from a concussion or broken bones to a traumatic brain or spinal cord injury. No matter how minor or severe your injury, you may have grounds to pursue legal action if your accident was caused by another's negligence. Immediately following an accident on a construction site, it is important to seek medical attention. A medical professional can identify signs and symptoms of serious complications and document your injuries. These reports can be used to substantiate your claim and prove the extent of your injuries. You should also notify your manager who can ensure that any unsafe areas are addressed promptly. Typically, your manager or human resources representative will provide you with a claims form to complete. Here, you can detail the circumstances surrounding the accident. You may also take pictures for evidence. Be sure to take note any eyewitnesses. No matter how minor or severe your injury, you may have grounds to pursue legal action if your accident was caused by another's negligence. Reporting the accident may also be helpful if you decide to pursue a worker’s compensation claim. In many cases an initial report of the accident and injury is a required component of a worker’s compensation case. Failing to report an injury immediately may decrease your chances of full compensation. There are a number of individuals present on construction sites at any given time, including contractors, subcontractors, and vendors. Each of these parties bears some responsibility for safety. In the case of an accident, we must determine which party or parties are accountable. We can then pursue compensation for lost wages, diminished earning capacity, medical expenses, pain and suffering, and loss of consortium. 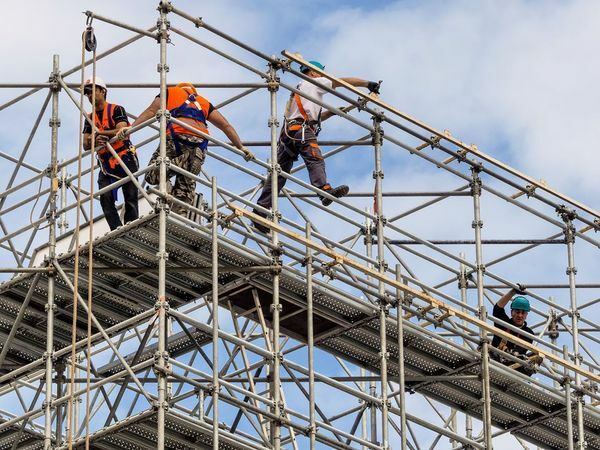 If you have been injured on or near a construction site, our team at Olsen Law Offices can help. We handle cases of all magnitudes and are ready to take on individuals or larger corporations to fight for justice. We encourage you to schedule an initial consultation with attorney Chris Olsen by contacting us online or calling us at (619) 550-9352.